Music man David Valjalo follows-up his exploration of the big-budget orchestral soundtracks in the mainstream games industry with a look at the other end of the scale – the super-low-budget, ultra-catchy, sometimes kitschy scores of indie darlings. He rounds up the men behind Hotline Miami, Sweden-based Dennis Wedin and Jonatan Soderstrom, two of the soundtrack artists they hand-picked, US artists M.O.O.N. and Scattle, and FTL composer Ben Prunty, to get the scoop on making music for small games and, quite often, small change. Recently we learned all about the revolution in game music that had transformed soundtracks into orchestral epics. A newfound respect for and understanding of the importance of a score, in big budget games such as Black Ops 2 and the Assassin’s Creed series, had lead developers to embrace composers like Jack Wall and Jesper Kyd, giving them unprecedented creative freedom and powers. Sounds great, doesn’t it? A game soundtrack renaissance. Well, here’s something less glitzy: aspiring game music composer Ben Prunty upped sticks in 1999 to move from his home in Maine to California with the ambition of breaking into the scene equipped with little more than a burning passion for game music. Most recently you might have heard his work proving a spacey soundtrack for the excellent, interstellar, roguelike-like FTL: Faster Than Light, but how long did Prunty have to wait for his big break? Around 13 years. “It started with Jonatan sending me a Facebook message”, says M.O.O.N., confirming that the internet age has made virtual networking a new avenue for a budding composer. “We tried to capture the mood of the 80s, not make it sound chiptune-y, or what you’d expect from pixel-art games,” says Wedin. Another advantage to indie game work is how open developers are with their work, unafraid to show and reveal as much as possible before release to get a composer’s creative juices flowing. It’s a freedom of information that runs counter to stories from the opposite end of the spectrum, where studios can leave the soundtrack to the final countdown to release which often ends up rushing artists to completion on a triple-A title. As an indie game composer, your signature sound can be a result the tools you use as much as the style of title you’re working on, and each composer gets passionate when you ask the simple question: what do you use? “I use samples, but my audio workstation is Renoise,” says Scattle. Prunty’s weapons of choice are all finely detailed on his website over here. It’s all equipment that you can probably pick up for – if not a song, excusing the pun – then certainly for a couple of thousand dollars’ investment, a far cry from the costs required to create professional live music for, and in, a big studio. 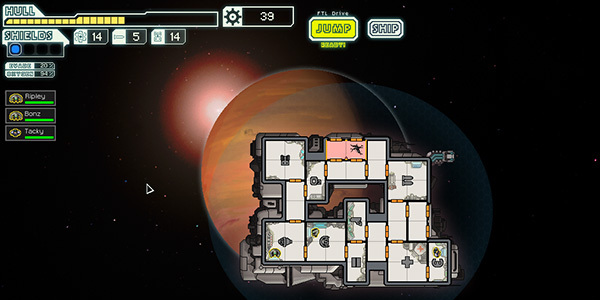 Tagged with feature, music, FTL: Faster Than Light, Hotline Miami.